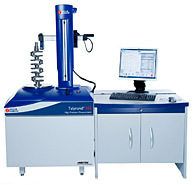 Taylor Hobson is proud of its position as a world leader in the design, development and supply of precision metrology equipment. Few other manufacturers can claim such an enviable record of achievement in the precision field – and we've been doing it since 1886! Taylor Hobson's story begins with the vision of the Victorian entrepreneur, William Taylor, who founded a lens making company with his brother in Leicester in 1886. He was responsible for developing the world's highest quality cinema lenses which helped to develop the film industry in the early twentieth century. The reliability and reputation of Taylor Hobson products were achieved through rigorous quality control methods. 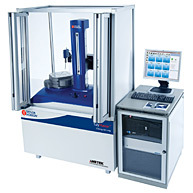 This led to the creation of a new product group for the company – component inspection – and in doing so began the demand for the metrology instruments that make Taylor Hobson the world renowned company it is today. "Never waste time in making what other people make. Devise something new that they have not thought of"
In 2000, Taylor Hobson entered a new phase of innovative product design. New instrument design concepts were employed in the new product development cycle. This created products that combined advanced engineering with impressive instrument styling. 2003 represented one of Taylor Hobson's most exciting years with the launch of the revolutionary Talysurf CCI 3000 non contact profilometer with a vertical resolution of 10 picometers (0.01 nanometers, and a completely revised range of surface products. 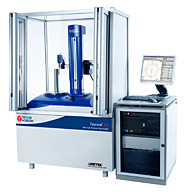 On 18th June 2004 Taylor Hobson was acquired by AMETEK Inc a US corporation based in Berwyn, Pennsylvania, and is now part of AMETEK's Ultra Precision Technologies Group. As we look forward, the small lens making company founded by the genius William Taylor continues to lead metrology design and innovation. William Taylor's maxim "....never waste time in making what other people make. Devise something new that they have not thought of...." remains the driving principle at Taylor Hobson today. 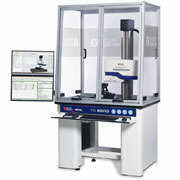 2008 – Talysurf CCI Lite launched, Ultra Precision Benchtop 3D Optical Profiler Talyrond 290 with motorised gauge arm. 2007 – Talyrond 395 launched, fully Automated arm attitude/orientation mechanism. 2006 – Talyrond 385 launched, to replace the Talyrond 290 with motorized gauge head. 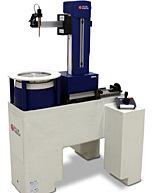 2005 – Talyrond 365, an all-new replacement of the Talyrond 265, Surface finish on roundness, Form Talysurf PGI 1250A & Form Talysurf PGI 850profilometer for ultra high slope parts. 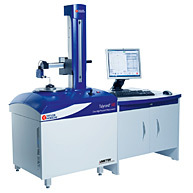 2004 – CCI 6000 for non-contact 3D profiling. 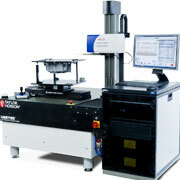 2003 – Form Talysurf 1240 Aspheric Form System. 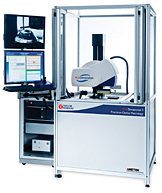 2002 – PGI Plus with 0.8nm resolution. 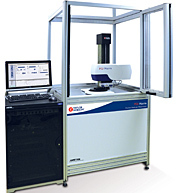 2001 – Talysurf CLI 2000 for 3D profiling. 2000 – Ultra Software on Windows NT – Roundness Form Talysurf Intra. Still leading the way, we continued to develop new products which still dominate the inspection industry today. 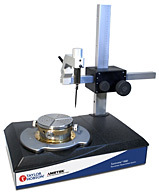 None more so than the Form Talysurf which, for the first time, allowed metrologists to measure surface texture, form and dimensional relationships with a single traverse of the measuring instrument. 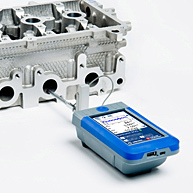 1999 – Surtronic Duo portable surface roughness measurement Talyscan 150 for 3D profiling, Ultra Software on Windows NT – Surface. 1998 – Talyrond 265 with auto centre and level. 1996 – The Revolutionary Form Talysurf Series PGI – Phase Grating Interferometer - gauge is developed - Schroder Ventures acquire Taylor Hobson from The Rank Organisation. 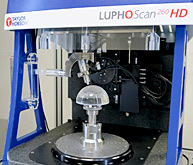 1995 – Talyscan 3D scanner. 1993 – Form Talysurf Plus launched Technical Centres opened in Germany, Japan and USA Centenary of Cooke Lenses. 1992 – Queen's Award for Technological Innovation for the Form Talysurf Series, Talyrond 30 Workshop Roundness Product New Cooke range of lenses. 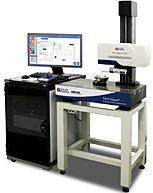 1989 – The Nanostep is launched and now surface measurement can be made to nanometric accuracies. 1984 – Introduction of the Form Talysurf. As the innovators and market leaders in surface finish and roundness measurement, we now applied our technology to develop a new batch of industry leading products. These included optical instruments and in 1969 we acquired the optical company Hilger and Watts. 1965 – Development of the Surtronic bringing surface finish to the shop floor at an economical price. 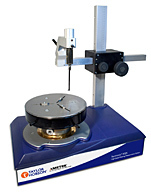 1966 – Development of the Talystep which is still regarded as the finest step height and surface finish instrument in the world with a noise level of better than 0.7nm RMS. 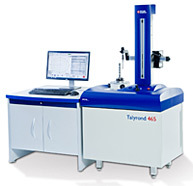 1970 – Talyrond 73, the world's most accurate roundness measurement instrument, is launched. As Taylor Hobson began to manufacture more accurate lenses, we realised that we needed instruments that would measure the perfection of each lens. Without anything else on the market, Taylor Hobson resorted to what they knew best - they invented something themselves, the first Talysurfs and Talyronds, which led the inspection and measurement industry for years to come. 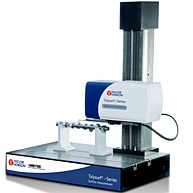 1941 – Talysurf 1 – the world's first true surface texture measuring instrument. It became the standard for reference and controlling surface finish in the manufacturing shop. 1949 – Talyrond 1 – the world's first roundness measuring instrument invented but only 1 unit was made and used at Taylor Hobson's premises. Customers had to send parts to Taylor Hobson to be measured. 1951 – The Micro Alignment Telescope developed. 1954 – Talyrond 1 went into production after demands from customers. Taylor Hobson began in 1886 when brothers William and Thomas Smithies Taylor started a company to make lenses. William Taylor was the genius of the company and believed that it wasn't worth starting to make a product before you could measure it. This led him to examine the processes of lens making and the methods of grinding and polishing glass. It would be another 50 years before the company, hampered by lack of suitable inspection equipment, would develop its own metrology products. 1886 – formation of the company T.S. and W. Taylor. 1887 – W.S.H Hobson joined and became the sales face of Taylor Hobson. 1893 – the first Cooke Lens produced – the most consistent in quality worldwide. WW1 1914–18 -developed the "Aviar" lens for photographing from aeroplanes. This gave the allied airforce supremacy. Also contributed to the war by developing binoculars, bores for rifles and lenses for range-finders. 1919 – William Taylor is awarded the OBE. 1932 – the first Cooke zoom lens for cine photography. 1939 – During this period, Taylor Hobson came to supply over 80% of the world's lenses in film studios, especially in America where Hollywood was beginning to dominate the industry. Your golf ball flies further, thanks to the inventive genius of William Taylor. It's the dream of every golfer. Find a way to make your drives go further and straighter. But did you know that a major contributor to achieving that elusive goal is the dimpled pattern on the golf ball itself? It was an idea born of the restless mind and inventive genius of William Taylor – co-founder of the company that would eventually evolve into Taylor Hobson Ltd. It was in the 1930s that this inveterate tinkerer turned his attention to this unique challenge. Having already built a successful business enterprise in lens making and precision production and measurement machinery, Mr Taylor was advised by his doctor that he needed to find a relaxing hobby. Golf was suggested as the perfect solution. So he attacked the game with the same energy and inventiveness with which he approached business and scientific pursuits. He simply could not leave his analytical mind at home! In the early part of the 20th century, golf balls were smooth. But professionals discovered that a damaged ball tended to go further than a new one. In fact it became standard practice to produce balls with all sorts of irregular and fancy patterns on them. To William Taylor this appeared to be very haphazard. He set to work determining what surface formation achieved the maximum flight. Taking a proper scientific approach, he built a glass fronted test chamber in which smoke was blown over differently patterned ball surfaces. He then carefully studied the eddies and vortices which resulted. His investigations revealed that existing patterns were not ideal. As a consequence, he developed a pattern consisting of regularly spaced indentations over the entire surface of the ball an idea that was dubbed (at the suggestion of his wife) and became famous as the "dimple ball." Of course, Mr Taylor couldn't stop at the design stage. He moved on to invent a special engraving machine for making the moulds from which these revolutionary golf balls could be made. And the rest, they say, is history. However, William Taylor did not stop there. Convinced that further refinements could be made, he designed a golf ball driving machine whereby a club could swing around an inclined axis under the influence of a weight. This machine would provide him with a controlled experiment. Armed with a large number of golf balls, each bearing a different dimple configuration, Mr Taylor could often be found in a field near Narborough, England with his driving machine carefully measuring the distance of flight of each ball as it flew from the device. So today, as you marvel at your next 275 yard drive, remember the man who (at least in part) made it possible. His inquiring mind and inventive genius are part and parcel of this most challenging, frustrating and rewarding of games!